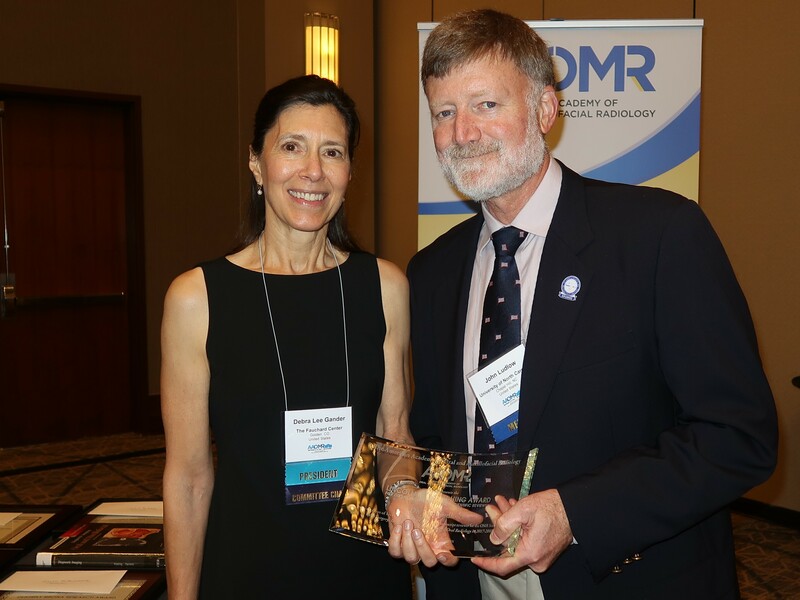 Dentsply Sirona Clinical Award – Dr. Debra Gander, AAOMR President, presenting the 2018 Dentsply Sirona Clinical Award. 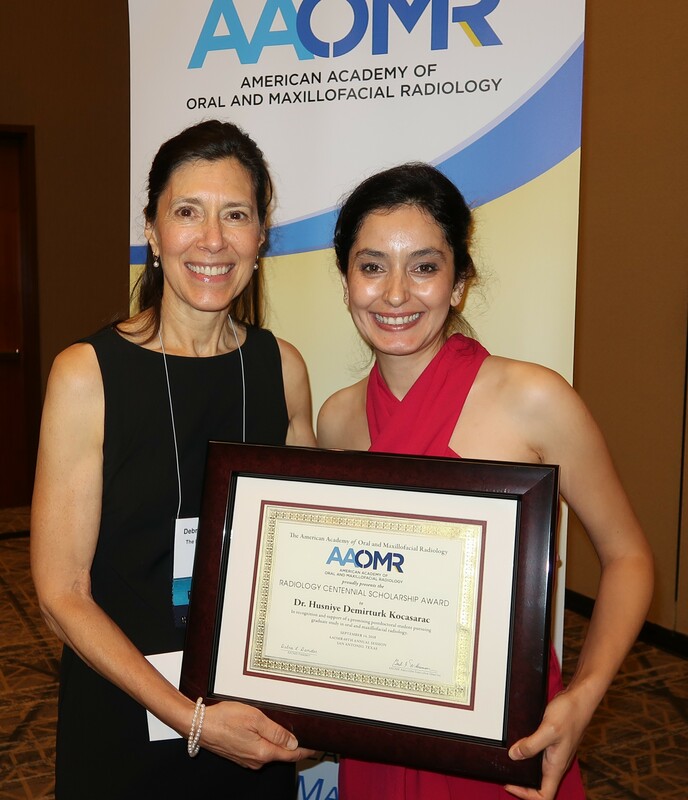 Dr. Mina Mahadian is accepting on behalf of Dr. Jalal Bukhari, Stony Brook University School of Dental Medicine. 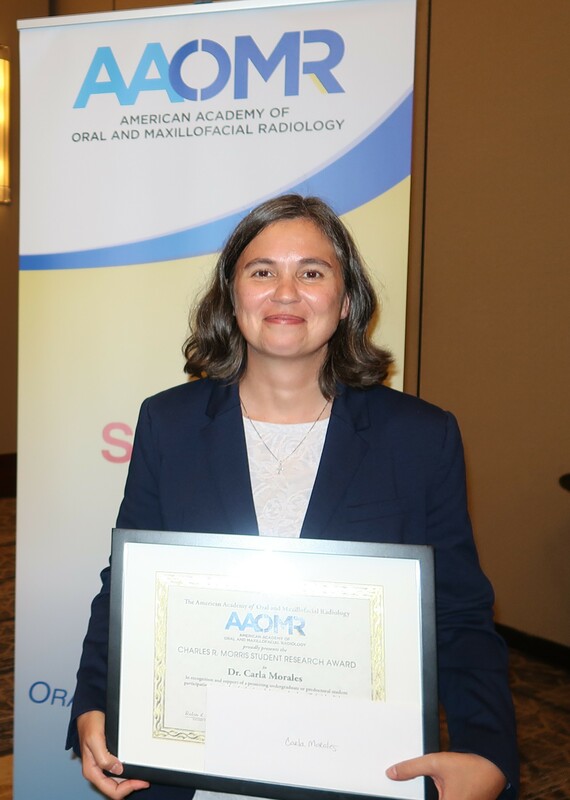 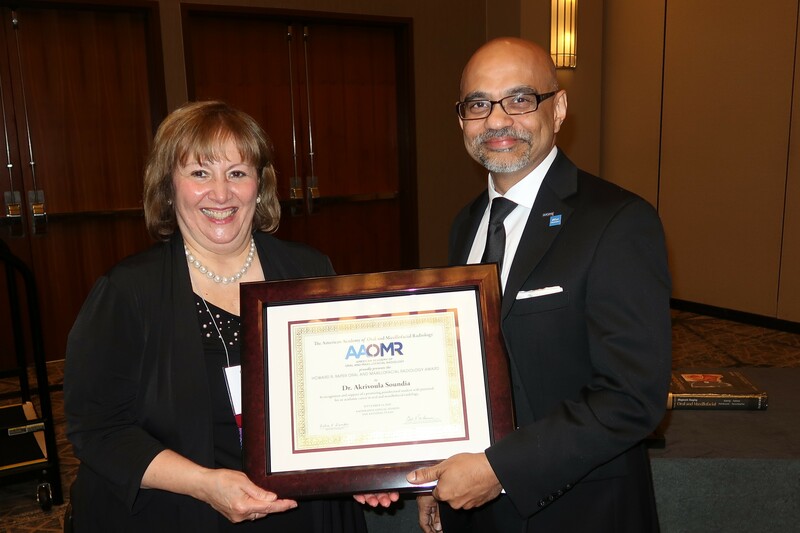 Dentsply Sirona Research Award – Dr. Debra Gander, AAOMR President, presenting the Dentsply Sirona Research Award. 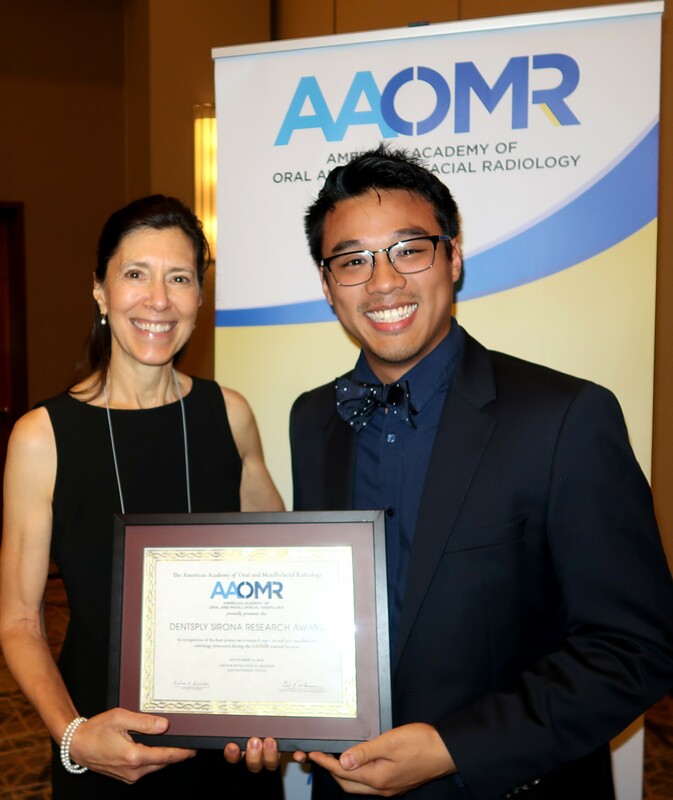 Dr. Trevor Thang accepting on behalf of Dr. Gaurav Krishnamoorthy, The University of Toronto. 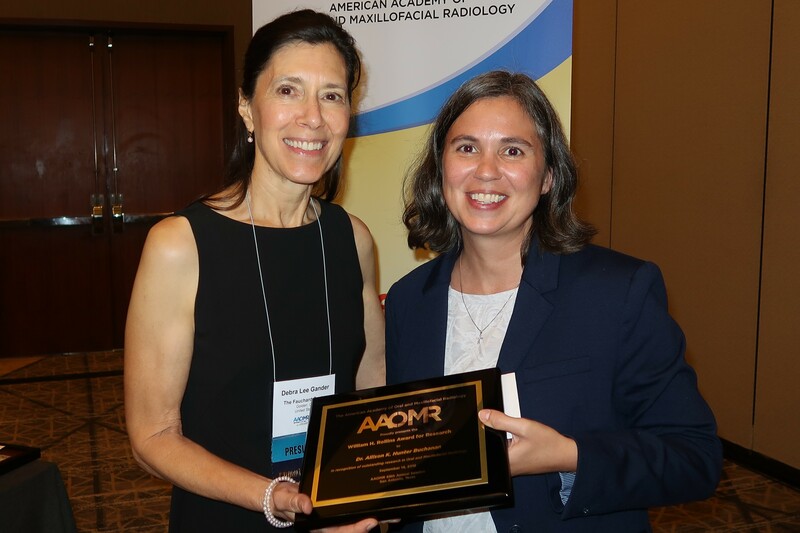 Williams H. Rollins Award – Dr. Debra Gander, AAOMR President, presenting to Dr. Allison Buchanan, Augusta University, Dental College of Georgia. 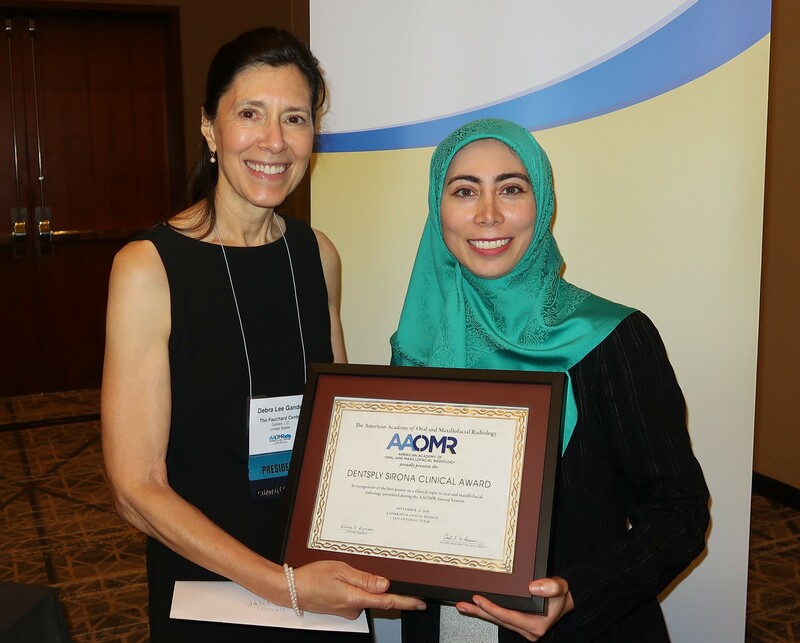 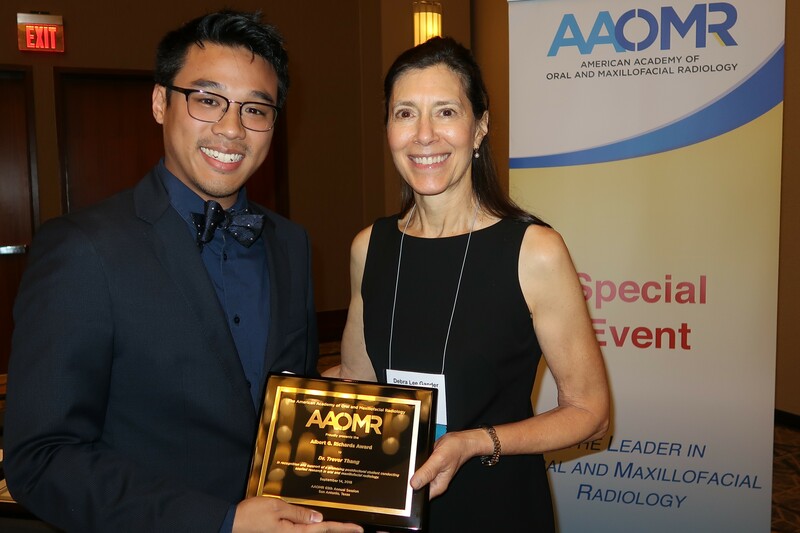 Albert G. Richards Research Grant Award - Dr. Debra Gander, AAOMR President, presenting to Dr. Trevor Thang, The University of Toronto. 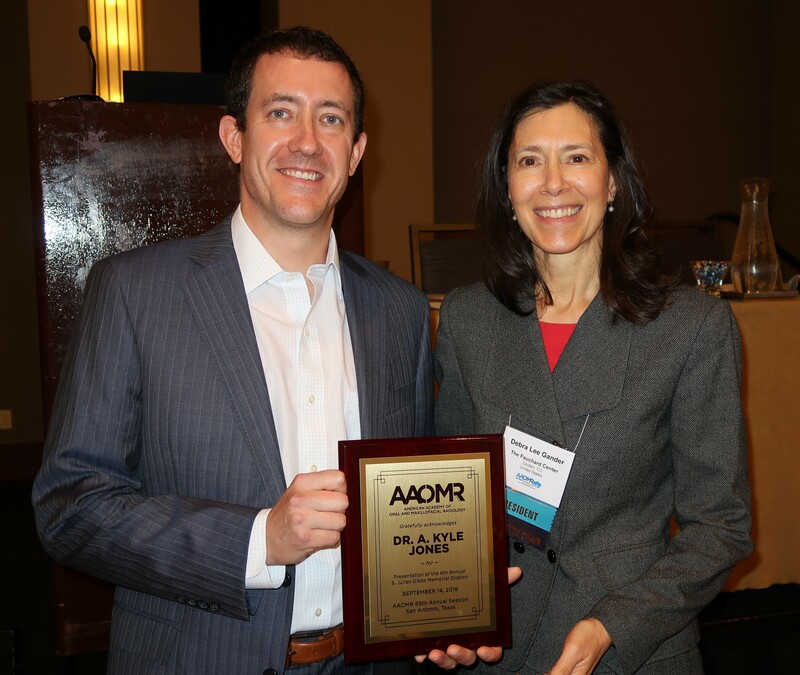 Lincoln Manson-Hing Award - Dr. Debra Gander, AAOMR President, presenting to Prof. John Ludlow, University of North Carolina.